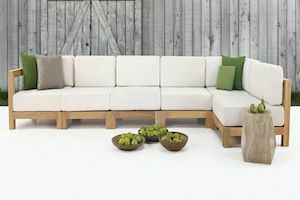 Relax in comfort and style with the Rehau square sofa set. 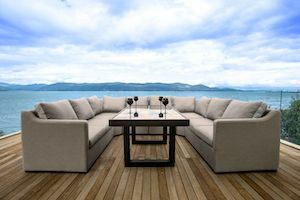 The modern sofa set is manufactured with total relaxation in mind, complete with extra thick 13cm base cushions and tapered back cushions for extra comfort. 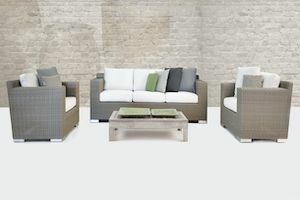 The set is weaved using market leading REHAU brand of rattan which comes with a 1 year warranty against fading or corrosion for piece of mind. 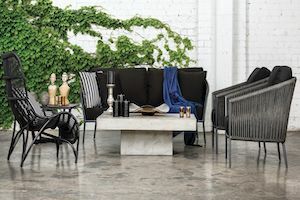 With its sleek lines and contemporary looks, the set will make a stunning addition to any area and is perfect for entertaining and relaxation. The table has a frosted toughened safety glass top. 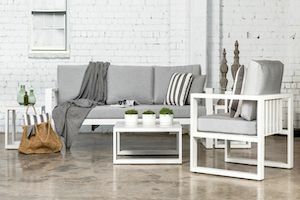 The coffee table also doubles as a footstool with the additional cushion included and when pushed up to the 2 seat sofa makes for a perfect daybed. The set compromises of 2 x single armchairs, 1 x two seat sofa and a coffee table (with cushion).